South Dakota carries a rich history when it comes to gambling. The historic town of Deadwood was at one time a gaming hotspot during the gold rush days. Today Deadwood has been restored as a gambling entertainment hub that features many commercial and tribal casinos, and serves as a tourist draw for the economic boon of the state. Other areas of the state also feature casino properties, race tracks, bar games and off track betting parlors. We would definitely agree that South Dakota is fairly supportive of the gambling industry and in remaining competitive and relevant within that industry. The Mount Rushmore State allows specific forms of gambling entertainment while prohibiting others. This page of our guide was created specifically for residents of and visitors to the state of South Dakota. We will take a look at the legal status of gambling in the state, covering both land based brick and mortar destinations as well as the concept of online gambling. We provide our insight and understanding of the legalities in South Dakota in an effort to provide assistance to players who wish to make informed decisions concerning their gambling entertainment choices. We are not lawyers, and have created this resource guide for informational purposes only. This information is not intended to substitute for or provide any type of professional legal services or advice. We simply provide our take on things based on our team’s decades of combined experience in dealing with hundreds of legal online gambling sites over the years. South Dakota is one of the few states to actually address online gambling in their state code. Chapter 22-25A of the South Dakota Codified Law indicates that it is not legal for anyone to own or operate an online gambling site within the state’s boundaries. The law specifically targets those who provide betting services online, and does not seem to focus on those participating as mere players, with one exception. Chapter 22-25A-7 does specifically state that persons associated with the gambling industry in South Dakota are prohibited from placing bets online. Therefore, those individuals who are not associated with the gambling industry through licensing or employment are not prohibited from enjoying online gambling at legally licensed and regulated gambling sites. Since it is not legal to operate an online gambling site in SD, you will not find any state licensed online gambling sites at which to bet. Players must rely on legally sanctioned offshore betting sites in order to gamble online. There are a number of legitimate, high quality online gambling destinations on this page that our team of professional analysts recommends. Check out our Federal gambling laws section If you wish to learn more about goverment regulations on the Federal level. The gambling laws in South Dakota do not make the act of online gambling illegal whatsoever. What is illegal in the state is owning or operating a gambling website as a business. In other words the local bookie allowing you to place bets on his private website would be unlawful for the bookie, but not for the person placing the bets. South Dakota residents have several different quality websites available to them. But one particular site rises above them all. 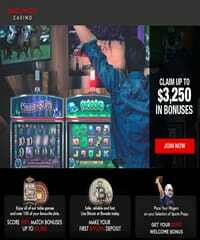 Bovada is a full service online sportsbook and casino that has been in the industry for years. They are the most trusted site and can legally accept US players due to free trade laws and being located offshore. They offer great bonuses, fast payouts and are the largest and most popular US friendly site for these reasons. Are Online Casinos Legal For South Dakota Residents? South Dakota has not expressly legalized the operation of state based online casino gambling sites as of yet. In addition, the state has laws in place that make it illegal to provide unlicensed online betting services to players in South Dakota from a gambling site operating within the state. The good news is that the state’s gambling laws do not prohibit citizens from betting at a legally licensed and regulated online casino that is located outside of the Untied States. The offshore online casinos that are recommended by our team are all verified to hold legitimate credentials that include licensing and compliance certifications. They also are subject to strict regulatory oversight by a respected governing jurisdiction. These U.S. friendly online casinos can legally offer their services to players around the world, including in South Dakota because they have legalized online casino gambling for their respective territories. US based online sports betting is not legal in any state in the US, including South Dakota. The Federal Wire Act effectively bans any state based online sportsbook gambling across the board. Thankfully this does not eliminate all options that South Dakota residents have for betting on sports online. The Federal Wire Act governs US based sportsbook gambling, but has no affect on international bookmakers who legally offer their services to players in the US, including those in South Dakota. It is not a violation of state law or the Federal Wire Act for players in SD to participate in legal online sports betting at offshore sportsbooks that are licensed and regulated. This guide offers a list of recommended sportsbooks that accept South Dakota bettors and that are legally operating within the industry. They have been vetted for legitimacy and quality. Is Online Poker Legal in SD? Concerning state licensed online poker, no, it is not yet legal in South Dakota. The state’s gambling laws prohibit the operation of any type of online gambling site within the state’s boundaries. The internet gambling law in SD does not prevent players from enjoying online poker gaming at legally licensed and regulated poker sites that are based outside of the United States within a governing jurisdiction that has legalized online poker for its respective territories. Limiting your online poker gaming to these types of legally sanctioned destinations ensures you are not violating any state or federal laws. Licensed offshore poker sites also offer tournament options and qualifiers to prestigious live events, such as the annual WSOP among others. We have listed the industry’s leading online poker sites accepting South Dakota players here on this page. Each of them has been vetted for legitimate credentials and quality. We can recommend each brand without hesitation. You can learn more about the legalities of playing online poker in the US here. What Is The Legal Gambling Age in South Dakota? For all betting venues except for casino gambling, players must be at least 18 years of age. For casino gambling, the minimum legal gambling age is 21 years of age. As you may imagine, South Dakota takes underage gambling seriously, and is wiling to prosecute offenders to the state’s minimum gambling age requirements. Most of the online gambling sites allow players to gamble at 18 years old and up. Will I Get Arrested If I Gambling Online In South Dakota? Well the answer to this question depends on a few things. First, the state’s internet gambling law specifically restricts players who are associated with the gambling industry from placing bets online. This means that if you hold a gambling license of any type and/or are employed by a business that is licensed by the state to offer any type of gambling, then you are prohibited from gambling online. That being said, there are no cases on the books in which law enforcement arrested or investigated anyone gambling online. Imagine the resources that would be necessary for the state to monitor online activities for gambling industry employees. Secondly, it is a misdemeanor offense to place bets at an unlicensed gambling destination. Therefore, you must limit your online gambling to only those gambling sites that are legitimately licensed and regulated, and are operating legally within the industry offshore. If you are careful about where you gambling online, then you have nothing to worry about as you will not be violating any type of state or federal laws. What Forms Of Gambling That Are Legal in SD? Casino Gambling – There are numerous commercial and tribal casinos located in South Dakota, with the bulk of them located in Deadwood. These casinos offer slots, blackjack and live poker games. Roulette, craps, bingo, video poker and keno are not permitted in South Dakota’s casino destinations. 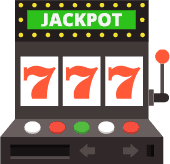 Online Casinos – There are no state regulated online casinos permitted at this time, however there are a number of legally licensed and regulated online casinos that accept players from South Dakota. You will find those destinations listed in this guide. Poker – Live poker can be played at the many tribal and commercial casinos located throughout the state. Poker tournaments are also allowed to be played at bars that have acquired the proper licensing. Online Poker – The state has not yet legalized state based online poker for South Dakota residents. However legal offshore online poker sites are available to SD citizens. Sports Betting – The Professional and Amateur Sports Protection Act (PASPA) prohibits US based sports betting across the country. Hence, you will not find any state regulated bookmakers in South Dakota. State based online sportsbook gambling is prohibited through the Federal Wire Act. Online Sports Betting – South Dakota sports fans are free to legally access sports betting options through offshore sportsbooks that are licensed, compliance certified and regulated through an international governing jurisdiction. Pari-mutuel Wagering – Live horse racing takes place in the spring and summer at various county fairgrounds, and off track betting on simulcast events is also allowed at various retail locations. Pari-mutuel wagering can also be accessed through legal online sportsbooks that accept SD residents. Lottery – South Dakota runs a state lottery. It is a member of the Multi State Lottery Association and all players must be a minimum of 18 years old to purchase lottery tickets. Will South Dakota Move To Legalize Online Gambling In The Future? With South Dakota’s positive stance on gambling in general, we can definitely see them embracing online gambling in the future. Their existing anti-online gambling laws are designed to prevent illegal gambling operations from existing, not necessarily to prevent citizens from enjoying online gambling. The state has been progressive concerning gambling expansion since the 80s, and we see no indication that this will change. There have not yet been any discussions or potential legislation introduced that show any movement on this front, but we expect to see it in the not so distant future.